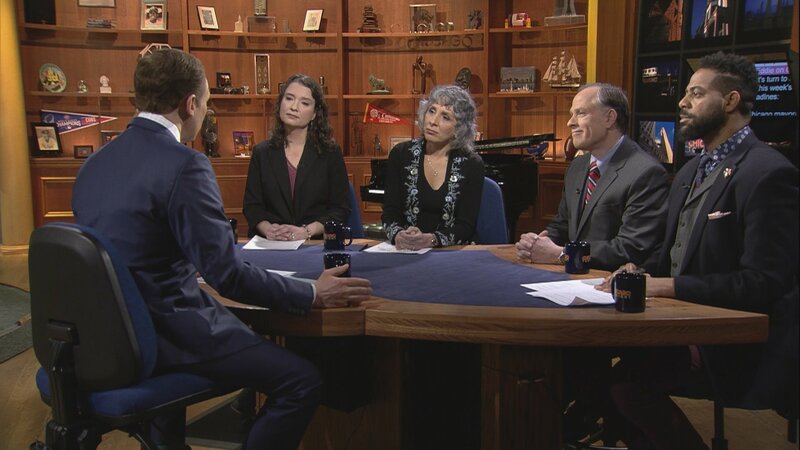 Chicago aldermen and candidates in the Feb. 26 election react with shock and anger following a report that retiring 25th Ward Ald. Danny Solis wore a wire as part of the FBI investigation into his embattled former ally Ald. Ed Burke. More details surface about the federal raids of Burke’s City Hall office as mayoral candidates try to distance themselves from Burke and Solis. The mayoral ballot is set at 14 after Cook County Circuit Court Clerk Dorothy Brown fails to make the cut. Illinois’ attorney general announces the unusual step of reviewing Jason Van Dyke’s sentence for the murder of Laquan McDonald. The redesigned Lincoln Yards plan unanimously clears the city’s Plan Commission, though critics – including some aldermen – call for putting the brakes on the massive project. The Bulls land Carmelo Anthony, years after aggressively pursuing him – but he’s unlikely to ever play in the United Center. And Bears QB Mitchell Trubisky preps for the Pro Bowl in Sunday. The conversation continues in our web-extra video. This week, Arruza and guests discuss moves by Gov. J.B. Pritzker and Cook County State’s Attorney Kim Foxx to decriminalize marijuana.